Those four words inform everything we do as a catalyst for performance, creation and learning across this great land. We are proud to be a home for many of Canada’s most exciting artists who captivate audiences on our stages and on stages across the country. 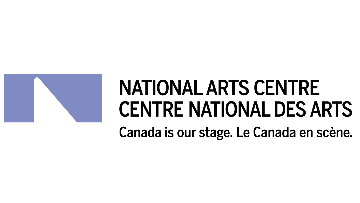 The National Arts Centre’s National Creation Fund invests up to $3 million a year in the development of compelling and ambitious new Canadian works in theatre, dance, music and interdisciplinary performing arts. The Fund is a catalyst for Canadian artists to make great work, investing in the additional time and resources that these types of opportunities demand, such as strong creative teams, longer timelines, workshops, residencies, in-progress showings, professional spaces and new technologies. The NAC is seeking a proven, dynamic Communications professional to develop and implement communications strategies to enhance the profile of the National Creation Fund and its investments, nationally and internationally. The ideal candidate is both a thinker and a doer who brings energy and initiative to the work at hand. You have a minimum of 5 to 7 years of communications experience in the performing arts or a related field. You are able to work collaboratively with multiple stakeholders, both internally and externally, to maximize the impact and results for all. You are digitally connected and curious, and have a track record of developing successful online activities. You have excellent written, verbal and presentation skills, in both English and French. You are both a self-starter and a team player, a perfectionist and a realist, and are excited by new challenges and a fast-paced environment. Creating and managing promotional opportunities around events and performances.